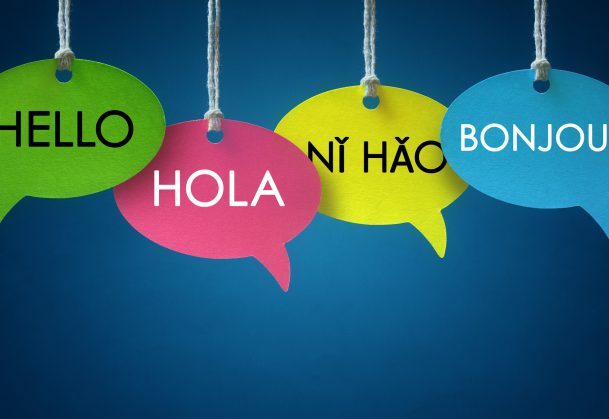 Bilingualism has been associated with a number of advantages over monolingualism, including better performance on cognitive tasks involving executive functions such as inhibition. Bilingualism also seems to positively influence cognitive reserve — the way the brain responds to neuropathological damage. Along these lines, several studies have reported a later onset of Alzheimer’s disease and related forms of dementia in bilinguals compared with monolinguals; however, contradictory findings also have been reported. The reason for these conflicting results is not clear, as studies in this area often differ in such factors as whether a community or a clinical sample is studied, the way bilingualism is measured, educational differences among participants, and the timing of clinical diagnosis. In a 2015 study published in the journal Cortex, Deborah Lawton, Philip Gasquoine, and Amy A. Weimer of the University of Texas–Pan American shed light on these conflicting results by examining the age of dementia in a sample of immigrant and US-born monolingual and bilingual Hispanic Americans. Participants who were part of the Sacramento Area Latino Study on Aging — a 10-year study of 1,789 participants age 60 or older — completed a free-recall task and a mental status exam. Those identified as being at risk for dementia based on their scores were referred for further assessment and dementia adjudication by neuropsychologists and neurologists. Bilingual and monolingual status was based on self-report by the participants. The researchers found no difference in the proportion of monolinguals and bilinguals who were diagnosed with Alzheimer’s disease or dementia and no significant difference in the mean age of dementia diagnosis in bilingual (79.31 years) and monolingual (81.10 years) participants. So what do these findings say about the conflicting results from previous studies? The authors note that this study, as well as other studies that have not found differences in the timing of Alzheimer’s or dementia onset, examined community members rather than participants drawn from referrals to memory clinics. These studies also used neuropsychological testing and formal dementia criteria to determine timing and presence of clinical diagnosis rather than using retrospective patient reports. The results of this study add to the body of research indicating that bilingualism does not confer cognitive advantages that help delay dementia onset. The authors hope that future prospective longitudinal studies in this area will use objective measures of bilingualism, separate sociocultural factors influencing language proficiency and use, and use formal diagnostic criteria to identify dementia. Lawton, D. M., Gasquoine, P. G., & Weimer, A. A. (2015). Age of dementia diagnosis in community dwelling bilingual and monolingual Hispanic Americans. Cortex, 66, 141–145.